There’s no better time to talk about managed IT services than October since it’s National Cyber Security Awareness Month (NCSAM). Created as a collaborative effort, NCSAM helps ensure we have the resources we need to stay safe and more secure online, for both our homes and businesses. You probably don’t think about cyber security every day, but that’s ok, most people don’t. That’s where we can help! If you’re currently managing your information technology needs in-house, or if your business is using a managed IT services company to do the hard work for you, it’s always beneficial to brush up on new cyber security trends, threats, and alerts. From financial data to personal employee records, every company has sensitive data they need to protect. Unfortunately (now more than ever) there are more threats to your business from experienced hackers and other cybercriminals to take over all of your important and confidential files. You don’t have to go far to see the headlines and results of the most recent company that was hacked or their customer’s data being compromised. It’s all you can do to make sure you are ready from online threats. Besides the online threat of cyber attacks, what about a standard hardware or server failure, or even a natural disaster? Time is money when a catastrophic disaster happens to your technology, communications, data, and network. 2. How much data did you lose? You wouldn’t want your company and employees to be left stranded if something like this were to happen. You or your IT staff probably don’t have the time or experienced technical knowledge to continually monitor and protect your business from these specific threats or instances, and this is where you’d benefit from utilizing managed IT services. When you outsource to a managed IT services provider that is familiar with security compliance standards, you minimize the risk related to someone accessing your important information such as credit card numbers, client or employee data, and any other sensitive business information. They can also provide business continuity and disaster recovery plans. Managed IT services implement security strategies to keep your firewall and other security measures up-to-date so that you don’t have to take the time to worry about it yourself. Backing up your data, technology, and systems are essential to any business and focusing on this should be one your highest priorities. Do you know what would happen if you were attacked and a headline on Monday morning? Could you survive? Read our article, Backup or Disaster Recovery — How To Keep Your Business Alive. Here are some of the most common online scams that a great managed IT services provider can help prevent from attacking your business. Hacking or a breach is when someone gains unauthorized access to your computer and personal files stored on your drive, the network, or cloud. Nowadays, it’s pretty easy for hackers to access your files, even if you think you keep your data secure. There’s a plethora of tools and techniques online and offline that makes it pretty easy for malicious activities to take place. It’s essential you become extra cautious when it comes to protecting and securing your documents, files or updating your staff with the latest threats. Hackers can find weaknesses in your security settings, and once they do so, they can gain control over your passwords to gain access to all of your information. Make sure you’re changing all of your passwords frequently, about every 3 months. This includes your computer login, email, apps, company instant messaging, and your network drive. Don’t forget you should be incorporating upper case letters, lower case and special characters in your passwords and no two passwords should be the same. • Virus: Similar to a virus you can contract from another person, computer viruses attach themselves to clean files and infect other clean files, spreading uncontrollably and damaging a system’s core functionality and deleting or corrupting files. Viruses typically appear as an executable file. • Trojans: Trojans disguise themselves as legitimate software but act discretely to create backdoors in your security, allowing in malware. The tricky thing about Trojans is that they can also infect your computer by tampering with clean or new software, without your knowledge. • Spyware: Spyware is pretty self-explanatory— it’s malware designed to spy on you. Spyware hides in the background and takes notes on what you do online including passwords, credit card numbers, and surfing habits. You can think of spyware as a virtual way of watching you, then robbing you. • Worms: Using network interfaces, worms infect entire networks of devices, either local or across the internet. Once infecting one machine, worms can travel and infect other machines. They call them worms because these types of software burrow from one machine or network to another. • Ransomware: Ransomware is a type of malware that can lock down your computer, preventing you from even logging in to your machine. Ransomware can threaten to erase every single document and piece of information on your machine unless a ransom is paid to the owner. Learn more about Ransomware by reading our article, Don’t Cry! — Tips to Prevent Your Business from Ransomware. • Adware: Adware is an aggressive type of advertising software that can undermine your security to serve you targetted ads, such as pop-ups. Adware has a way of bringing in other malware as it enters your computer. Most of the time Adware is a nuisance more than creating harm, but if you get enough on your device it can slow it down to a crawl. • Botnets: Botnets are networks of infected computers, made to work together under the control of an attacker. These are very sophisticated programs that have an overall goal to interrupt your network or systems so that a different type of software can be used to break into your hardware, software, or systems. Used by most cybercriminals, phishing is most often used and easy to do. Cybercriminals phish to produce the results they’re looking for with minimal effort and time. Fake emails, text messages, and websites are created to look like they’re coming from an official company or source, or even someone you regularly communicate with. These fake communicative messages are sent by cybercriminals to steal or gain personal and financial information from you. For phishing to happen, the cybercriminal tricks you into giving them information by asking you to either update, validate, or confirm certain pieces of information of particular accounts you frequently use. These scams are typically presented in a way to make you feel they are official and valid, encouraging you to take the proper action requested. 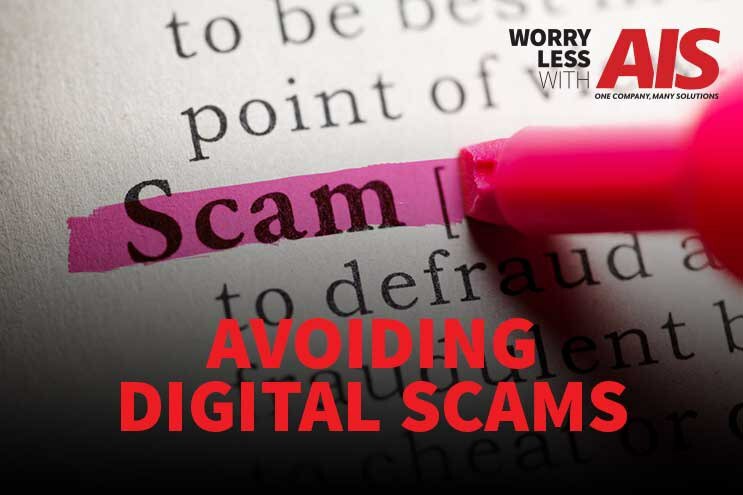 Once your information is confirmed or validated, the scam then provides your username and passwords to cybercriminals to access your accounts, stealing your private and financial information. As you’ve probably heard before, spam is one of the most common methods of not just sending out unsecured messages, but collecting it as well. Spam is the mass distribution of unsolicited messages or advertising to addresses (typically email) which hackers can easily find on the Internet through social networking sites, company websites, and personal blogs. Spam can bombard your inbox with unwanted junk mail, and create burdens for communications services providers and businesses to filter electronic messages. It can also be used as the delivery method for many other types of cyber threats. Wi-Fi eavesdropping is another dangerous method used by cybercriminals to attack and obtain your personal and financial information. Unfortunately, Wi-Fi is not always secure. On private networks, you can enable encryption to prevent unauthorized people from connecting and reading the traffic as it travels through the airwaves. However, depending upon the security mode you use, connected users may still be able to eavesdrop on each other’s traffic. Although public networks may use web-based authentication (captive portals or websites), most don’t use actual encryption, and anyone nearby can easily eavesdrop on the hotspot traffic. Cybersecurity is one of the most important and vital things you can implement and monitor for the success of your company. The more time you put into protecting your personal and financial files, the more secure your business will be. Anytime is the best time to be thinking about Cyber Security and threats, but the most important time is now. There’s a reason that Cyber Security is October because we don’t think enough about this area of a business until it’s too late. Don’t be a statistic. Get on it! AIS continues to learn about cybersecurity threats and the best ways to prevent these issues from occurring in the first place. If you think your business is at risk for cybersecurity attacks, or you’re looking for preventative ways to ensure your business stays safe, reach out to us here. Managed IT services can significantly keep your business safe while continually monitoring your networks to make sure you’re not in the direct path of a cyber attack. We give you peace of mind, to help you win more business.